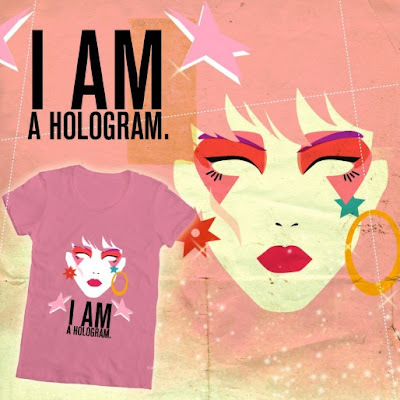 Mighty Fine "I am a Hologram"
Jem and The Holograms or The Misfits? Show ’em you’re a good girl with this winner from Mighty Fine. Actually, it’s a runner up in their Jem and The Holograms Design Contest. You have a choice between light pink and fuschia. They’ve also got you bad girls covered here.